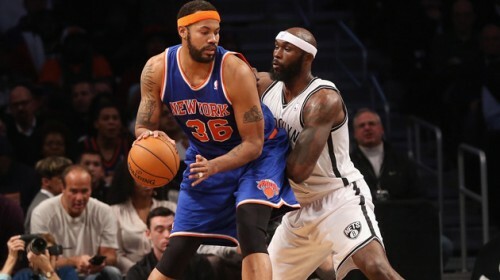 New York Knicks’ star Rasheed Wallace will have a season-ending surgery on his left foot. Wallace, an NBA veteran who came out of a two-year retirement to join the New York Knicks, had a new X-ray examination that showed he fractured his fifth metatarsal. His injury had progressed to a fractured bone at the outside of his left foot, otherwise known as a Jones fracture. “Too bad for Rasheed. This foot surgery is not uncommon and often done early on high-level athletes. Unfortunately, it was too painful for him to wait until the end of the season, I suspect.”, Manhatthan Orthopedic Care’s physician Dr. Armin Tehrany said. Wallace will be out for recovery for eight weeks, which unfortunately is beyond the regular season. But, there is a chance he may return for the playoffs. The experienced Wallace help Knicks get off to a 17-5 start. Although getting back in the team in such a crucial period after the long recovery, can be a daunting task for the veteran. Knicks were aware that Wallace might not return and signed Kenyon Martin to a 10-day contract. This entry was tagged Dr. Armin Tehrany, fifth metatarsal, foot surgery, Jones fracture, left foot, Manhattan Orthopaedic Care, medical centers, MOCNYC, NBA, neurological, New York Knicks, New York orthopaedic, NY orthopeadic care, NYU medical center, professional care, protecting the patient, Rasheed Wallace, shoulder surgery. Bookmark the permalink.